I've got a question about Final Fantasy X: Is there a legitimate way, in the game, to learn the airship coordinates for secret locations? Not the passwords, I know those can be found in the Al Bhed ruins, but the number-coordinates. Searching around the web, I only find guides that give away the coordinates, but no hints on how I would go about getting them myself if I wanted to try. Is it just supposed to be trial and error? I don't recall any clues about the coordinates themselves, so you'd likely need to brute force it by trying over and over until something pops. There are suspicious-looking spots on the world map. It's a halfhearted attempt at including exploration into a very linear game. I remember the chests hidden on Besaid annoyed me so much. I gambled and got the Switch port of World of Final Fantasy and the battle speed is a toggle now!!! I finally got my Platinum in FFXII Zodiac Age. I'm THE Basch fon Ronsenburg of Dalmasca! Aw dang, looks like the third season of Team Four Star's FF7 Machinabridged is starting on Friday! Considering there was about two years between season 1 and 2, I was expecting this to take longer. I honestly can't imagine how they're gonna handle the whole Disc 1 conclusion. What if the twist is that they keep her alive? She's gonna Ghost Nappa the party until the end of the game. 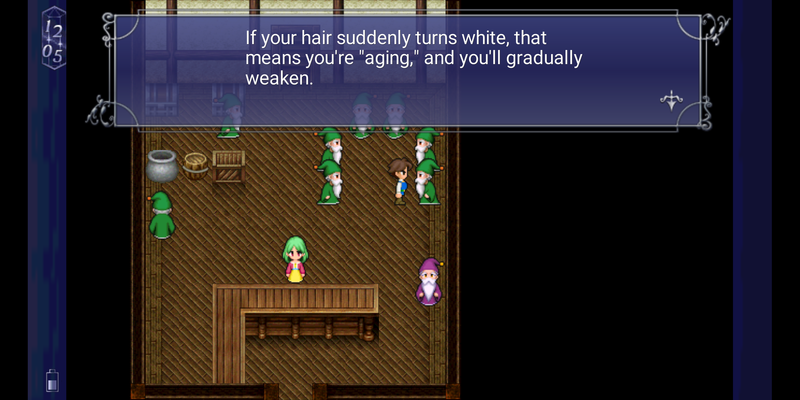 The mobile port may not be the most ideal way to play Final Fantasy V (I still think Square Enix and Matrix could've done better with the visuals), but it's still Final Fantasy V and I enjoy playing it. Also I love that I can screencap any fun dialogue I come across. So, um, FF6 Four Job Fiesta is a thing? Oh wow that has the potential to be something incredible. I played through most of FF6 not knowing you can multi-target spells. That sort of counts, right? Consider me interested. So I'd assume you'd switch to your chosen four whenever you are able? And presumably seek them out first in the world of ruin? I wonder, what would be the four worst characters to get? At first I thought it would be bad to get Gogo without Magic but then... nah, they're probably pretty great? I figure it’s no espers but characters who learn magic naturally still have access. It probably depends whether or not the rules allow Gogo to use abilities beyond those of the other 3 random party members? And also, relative to other characters, whether or not Espers just to boost stats are allowed. If no one can boost their stats with Espers, then Gogo being unable to do it is less bad compared to a normal run. Mog as a spear user with Dragon Boots and Jump who is able to equip the Snow Scarf would make him pretty great in a no magic run. Umaro is a great party member in a standard run except for a few situational cases where a berserker causes problems, and he's even better relative to everybody else if you can't use magic. Setzer is one of the best characters in the game once you get the trick dice, even without abusing slots of throwing money. Last edited by estragon; 12-15-2018 at 06:53 PM. Realm is about the worst character if you take away magic sketch is pretty fickle, nothing really hard allows control and her gear selection is abysmal. And likely still Cyan unless you get three ragers, though level 1 and 2 Bushodo are fine. Celes is pretty limited after that, but both she and Terra have really good gear access and at least Runic will never screw you over. Putting Mog (who actually has healing) or Umaro (constant high damage and even an AoE) on that list is just crazy, they're both great out of the box. Gau takes a little work, but once you've done that he's also absurd, especially if you play SNES with Merit Award. Curious about the rules. This game frequently dictates what your party is. Even if it's literally "no magic" instead of "natural magic," Terra and Celes are fine. They have the best equipment selection in the game. Worst party? Relm, Cyan, Locke, and probably Umaro. It's not that Umaro is terrible, but he's a locked party slot for 80% of the game, and he and Relm will have to babysit each other in Kefka's Tower. Good luck beating Wrexsoul with Relm+Locke, by the way. Without magic, Relm is the big loser and Mog is the big winner. If Strago can use Lore he's better than usual but still not as good as Gau or Mog. Everyone else stays put. Meanwhile the FFV tier list is sorted by the characters' innate agility stats because it's the only way to tell them apart. Locke can use the Valiant Knife, so he's top tier in any run, although especially with no magic. Last edited by estragon; 12-15-2018 at 11:38 PM. Locke also has legimatelly decent stats and just being able to swing swords around is good enugh for WoB. Nothing should be too hard before the factory where you can pick up some elemental swords and go to town. Lore is allowed, espers are not. So Strago and Gogo are good. Otherwise a surprising amount is being left up in the air. Please remember where Strago is when suggesting he would be good for such a run. The rules in the linked post are pretty loose for when you can't get to your party member, so it's probably fine unless you're self-imposing the strictest variation possible.